Building on its huge success, Volumetrix2 now brings new gorgeous glows, glints and distortions all with the unique animating reveal. These stackable new effects are available within both the filter and transition plugin. Volumetrix produces stunning light effects & transitions by unleashing the power of the graphics card and FXPlug technology. Effects that would take many hours of keyframing and then rendering are now available to use within seconds in Final Cut Pro, Final Cut Express, Motion and Adobe After Effects. This power is not just limited to making boring text look like a Hollywood trailer, any image can be transformed with a couple of mouse clicks. Building on its huge success, Volumetrix2 now brings new gorgeous glows, glints and distortions all with the unique animating reveal. 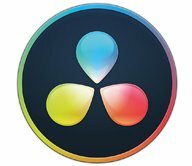 Final Cut Pro X support, Includes presets from FCP7 available to FCPX users as Volumetrix effects. V2 does beautiful work that is a direct result of allowing users to create an effect that fits the needs off the movie instead of the inverse. I really like this plug-in. But, there is only so many ethereal and ominous uses I need light rays for in my personal and pro work. Having a use for V2 in mind is probably a good idea unless you are a plug-in collector. Read the full review of Volumetrix 2 by Mark Bremmer at Microfilmmaker Magazine, October 1, 2009.